Lacock is a charming, medieval English village set on the edge of the Cotswolds near the market town of Chippenham. 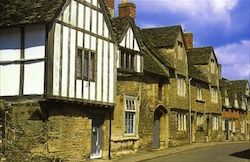 The old stone buildings and half-timbered houses are extraordinarily well-preserved, and despite having featured as a location in many films and historical dramas (Cranford, Pride and Prejudice, and the Harry Potter films, to name but a few), the village still maintains a peaceful and timeless atmosphere. The centre of Lacock is just a short stroll away from the Old Rectory and offers some outstanding pubs and restaurants with excellent cuisine. Tearooms, a bakery, jewellery and antique shops, and a beautician all add to the character of the village. 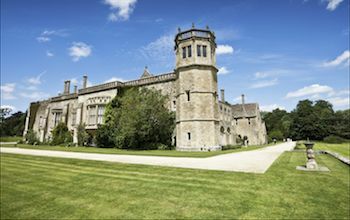 Lacock Abbey, another Harry Potter filming location to the west of the village, was the home of William Fox-Talbot, a pioneer of the photographic negative. The Abbey, now owned by the National Trust, is open to the public and houses a photographic museum. Wiltshire is a county rich with history. 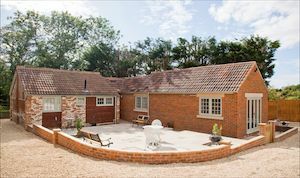 The World Heritage Sites of Avebury and Stonehenge are both within half and hour's drive of the Old Rectory, as are the Marlborough downs with their white horses and iron-age hill forts. Bath — a beautiful Georgian city not to be outdone by ancient history — boasts Abbey, Roman baths and pump room, and is just thirty minutes away by car. Salisbury, with its beautiful cathedral, is just forty-five minutes drive away. Also within easy reach are the historic houses and gardens of Bowood, Corsham Court, Dyrham Park, Stourhead, and Longleat Safari Park. The vibrant city of Bristol, only forty-five minutes drive away, has recently opened a fabulous new shopping centre at Cabot Circus and boats the cosmopolitan dock area with @Bristol and Explore; two must-visit destinations for the family. 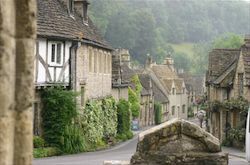 The local villages and towns — including Castle Combe (with racing circuit), Bradford-on-Avon (with its canal) and Malmesbury with its abbey and gardens — are peaceful and beautiful, offering both pubs and tearooms in which to relax, and the opportunity to indulge in a little shopping. 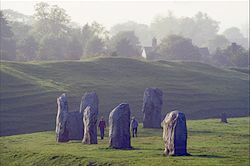 Try the Visit Wiltshire website for more information on events in Wiltshire. Longleat Passport Tickets include once-only entry into Longleat safari park, and ten further Longleat attractions. Split your visits to re-enter on different dates, as long as your visits occur before end of season. Ticket prices: Adults £17; Children £12; Seniors £13. Tickets must be booked in advance. Thermae Bath Spa Special offer: two hour Thermae Spa vouchers. Our price: £22 (must be booked in advance). Cycle the lanes and trails of historic Wiltshire where the past meets the present with www.historyonyourhandlebars.co.uk Bikes brought here with personal itineraries. Ask for offer. Or why not stay with us and hire a self drive classic car – drive your dream. www.vintage-classics.co.uk for more details.